According to legend, ancestors of the Oromo people, in modern day Ethiopia, was first to recognize the energizing effect of the coffee plant. The story of Kaldi, a 9th Century Ethiopian goat herder supposedly discovered coffee after observing his goats behaving strangely after eating from the coffee plant. Other accounts attribute the discovery of coffee to Sheik Omar, who was exiled from Mokha, Yemen to a desert cave. Starving, Sheik Omar tried eating berries from nearby shrubbery but found the taste too bitter. To improve the flavour, he tried roasting the seeds but to no avail, the seeds were too hard. He then tried boiling the seeds in water to soften the seeds, which resulted in a brown, fragrant liquid, which upon drinking, Sheik Omar was revitalized and sustained. As stories of this miracle drink reached Mokha, Sheik Omar was asked to return and was made a saint. Whichever legend you believe in, coffee is a drink enjoyed by millions of people every day. 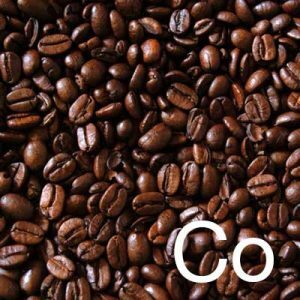 High amounts of Polyphenols present in roasted coffee have been shown to prevent free radicals from causing damage at a cellular level. A number of studies point to caffeine’s anti-inflammatory properties, which is naturally present in coffee. As an added bonus, a warm, uplifting coffee scent is present which blends excellently with the other plant extracts to provide a rich chocolate aroma.